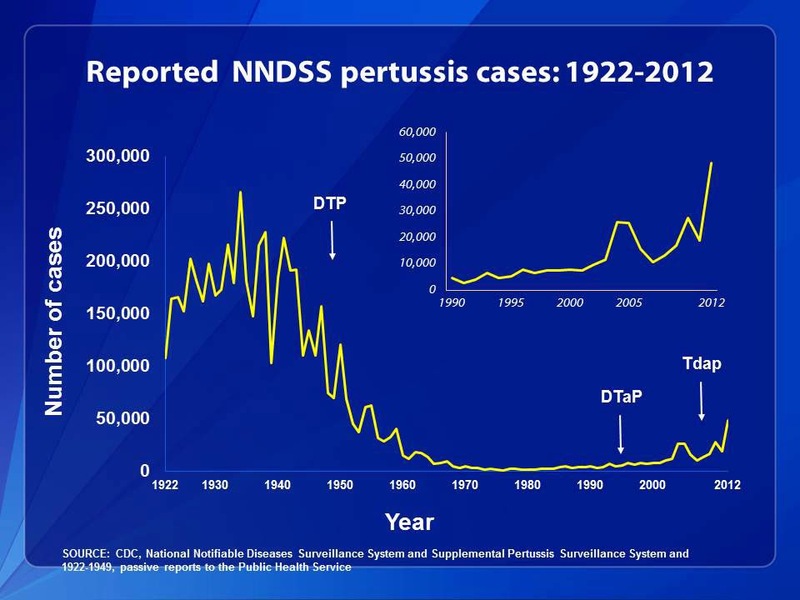 Over the past couple of years, and especially this year, there has been an increasing number of news articles about pertussis outbreaks across the United States. In 1976, we had a low of only 1,010 reported cases. Cases reports gradually increased over the 1980s and 1990s, reaching nearly 10,000 by the early 2000s. Then in 2012, there were 48,277 reported cases. As of December 14, 2013, there have been 23,009 cases reported for the year. With the recent uptick in whooping cough across the country, the big question is, unsurprisingly, why? What's causing it? 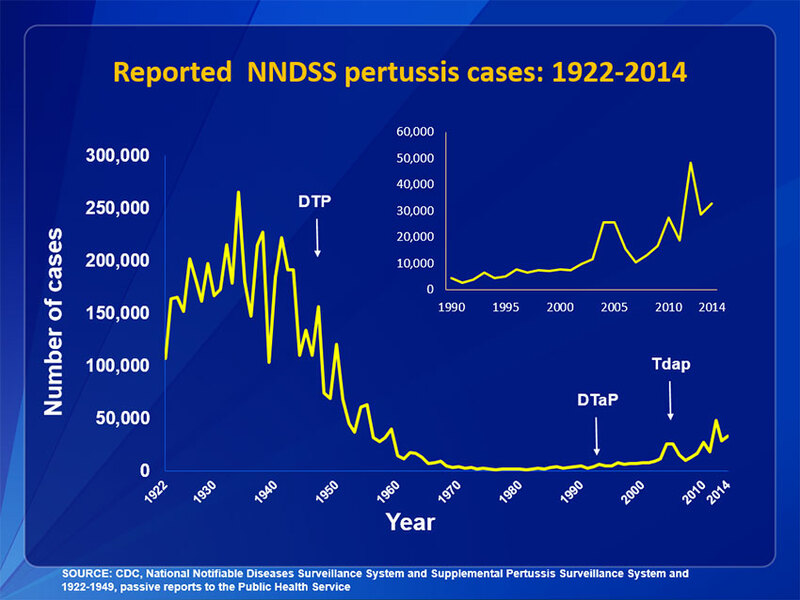 There have been a wide variety of potential explanations: reduced or waning efficacy of the vaccine, declines in vaccine uptake, and changes in the pertussis bacterium itself. Several studies published this year may shed a little light on the issue, especially in terms of vaccine efficacy. The question of vaccine refusal and its link to outbreaks is not particularly surprising. 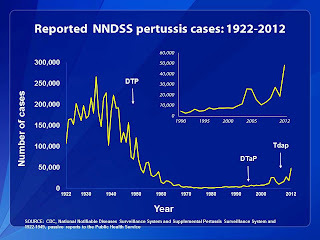 Published in the journal Pediatrics in October, "Nonmedical vaccine exemptions and pertussis in California, 2010", by Atwell, et al., showed that non-medical exemptions were one of several factors contributing to the 2010 outbreak of whooping cough in California, which claimed the lives of 10 infants. This finding is in line with previous research on the impact of non-vaccination on the risk of outbreaks (see, e.g., here, here, here, and here). Lack of vaccination increases the risk of infection for both the individual and the surrounding members of their community. Likewise, we know that the immunity from the pertussis vaccine wanes with time, just like the immunity from infection itself. 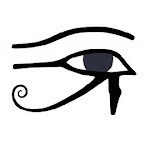 That's nothing new. But two pieces of the puzzle that popped up in the scientific literature recently might explain why efficacy seems to be declining faster than previously thought.